I am currently on day 8 of recovery and I am starting to experience clicking noises on the upper jaw along with some aching pain on both sides. Is this normal? I am freaking out because my surgeon told me if something goes wrong I would have to go back into surgery. I am currently not taking any pain medication I haven’t been taking any pain medications since day 1 of recovery. If you could explain and put my mind at rest that would be awesome! Hola Graham. Tis my 8th day post op and I just had a quick question. I’m the weirdo who so openly spoke of my poop schedule last week. Was a bit more loopy then than I am now so forgive me lol. Was just curious, how long were you on your pain medication? My mother, being the caring lady that she is, doesn’t want me to turn into a “basehead”, and I understand her concerns. However, it still really ****ing hurts at times. Which makes sense IMO since its only been a freakin week since the double jaw surg/genioplasty. She’s not trying to pressure me or anything, she just drops reminders every now and then that “You know people get hooked on this stuff” like I’m just potentially 10 ml away from pumpin my veins with the good stuff. I haven’t seen any articles or people really talking about how long they were using the pain medication. But for me, it’s really tough to deal with this pain. Mouth pain has always been tough for me to deal with, and this is obviously unlike anything I’ve dealt with. Not to mention that I feel like the 10 ml is just adequate for someone my size(fairly built at 6’0 230. well 230 when i started. 220 now). I’m just not exactly too eager to let go until I’m sure I can manage without it. 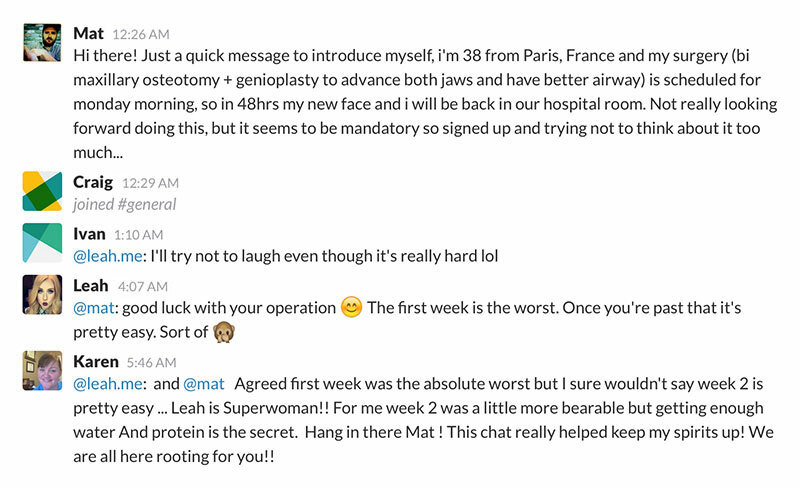 I’m gonna definitely ask my surgeon at my apt…today or tomorrow. Just seein how it worked out for you in regards to dealing with the pain. Thanks man. Anna, I hope this is your final set of braces. 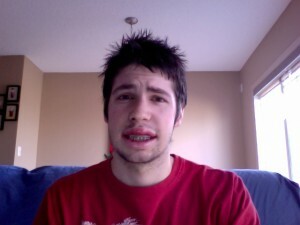 I think I also had Damon braces and they were quite easy to take care of. Best of luck this time! I’m on day 8 on my post op double jaw surgery, I had an openbite that developed over the years, so over the years I had bad memories with my mouth, there was one week where my jaw was locked and I couldn’t talk. I know everybody has those dreams about there jaws, last night I had one, and it was me biting down, I woke up scared and panic and with a big ache on one of my side jaw, I didn’t really sleep the rest of the night. What do you do on those moments of fright?? It’s been 8 days and I’m my swelling is going down, I can kind of move my lips, smile a bit etc, but my face is so tingling, I guess that’s normal, but my jaw does ache tremendously. Is that normal? Btw I haven’t been sleeping well, I just hope I don’t have a dream like that for a few days. Your recovery seems so simple, I still can’t swallow properly so it’s hard to drink anything especially since I’m on liquified diet. Thank you making this page , it’s helped me a lot . I am at this day today. I ratr this day a tad more painful ! Lol. Thanks again graham . Wow it’s super impressive that almost four years later you have still kept up with the comments! I found your blog and it’s been beyond helpful. Thanks for sharing your journey! You were so upbeat and looked on the positive side of things throughout your experience that it made me feel silly for getting so upset about not being able to eat and my appearance! I also feel like I’m going crazy from not being able to actually open my mouth, but I guess in the grand scheme of things this is only a very small period of time and it shall pass 🙂 I’m currently 8 days post op after double jaw surgery in Nova Scotia, but didn’t need a splint so that’s nice! Make it easier to jam some softer type foods in my belly. I was not told that I could use heat as a way to reduce swelling but they didn’t say that I COULDN’T. Everyone else seems to be using heat as well, I may take a trip to shoppers and grab myself a heat pack! I cannot wait to eat solid foods again, this liquid diet is no way to live. hey man! Imagine I’ve read a lot in here months and months before my surgery, so I was psychologically prepared for the up-hill battle. your ‘step by step’ explanation helps incredibly. Im in my 8th day now, and you cant imagine how much the surgery changed me. they straightened my nose and made it symmetrical, and fixed my chin as well. and I dunno wat to feel when I look at the mirror lol even tho Im swollen. lookin forward to upload soon on youtube if God wills. you rock man! Im really tryin my best to cope with it. Hey Graham what is the name of the hospital that you had this surgery done at? Alyssa, I had my surgery at the Royal Alexandra Hospital in Edmonton. I had no preference as to which hospital to use; it was merely the hospital my surgeon chose to operate at. Well mankind appreciates it. LOL! Just wanted to add that I think it’s fun that you’ve continued to respond to questions 3 years later. Not sure that I really noted the year really when I started reading. It really is very helpful. My daughter knew several girls who had their surgery just a few months before her, so we had lots of questions. I guess at some point you will get too busy to keep this up..but THANKS!! Chree, I’m glad your daughter will soon be past all of this. She’s almost there! Just stopped by to let you know how incredible your blog has been for me. Besides the many pre-op laughs my kids and I enjoyed, it has been a huge help knowing that someone else has been through this and survived, not to mention the good reminder of keeping things light and moving along one day at a time. Day four post-op here for double jaw surgery and feeling really positive thanks to you. Thanks! Tomorrow is my surgery and I’m so nervous. I’m afraid I will look really different.. In a bad way. Did you think you looked a lot different? Better? Or worse? Thanks! Do you think correcting an overbite will be as extensive as your underbite surgery or about the same? Allie, the top jaw is the most invasive part of the procedure because they generally have to work on the width of your upper palette as well as your nose, so I would plan for a similar recovery to my own. That way, if you sail through the recovery more quickly than myself (as most people do), that will just be a bonus! Hi graham! I’m having the double jaw surgery in a few days but not to the extent that you had done because I’m only on a liquid diet for a week. I start school 3 weeks later. Do you think the swelling will be significantly down where people don’t notice? Day 8 post-op today. I am drinking from a cup and using a straw for some drinks. I have pretty much stopped taking the pain meds and switched to extra strength ibuphren. My entire face is pins and needles with small twinges occasionally which is more uncomfortable then painful. My nose is still plugged with blood which is just annoying! I have 4 elastics, 2 on either side, no splint and my lower lip is still numb. my first post-op appt with my surgeon is this coming Monday, I am hoping he will let me brush my teeth and stretch my mouth. Oh, and another bonus the surgeon didn’t have to do anything with my chin! And thursday i’ll go to see a music show ” les trois accords” with my two kids !! I’m in first place, i hope the group of music dont be affraid of my freaky smile!!! Hi Graham 🙂 i’m the frenchspeaking pure laine who has surgery 16 april in province of Québec .. Well it was hard more than i expected! The breathing and swallowing of the 5 first day was a nightmare and my tongue was enourmous so made me this simple actions very very difficult!! I’m day 7 and read you in night with my bestfriends hot pack and codéine ! But i begin to feel much better … I think to your advice so many times the first day on my hospital bed: don’t forget it’s temporary situation!!! And thats help me very good to keept me ont the right mind!!! I regret so many many times my surgery the first 5 days but now i begin to see the light 😉 thanks you for your bible’s surgery ! !